I just finished this purse today & I am so in love with it I want to marry it!!! It's a Christmas gift for Miss Sadie. Can I tell you how in love with felt I am! It was really fun to work with. 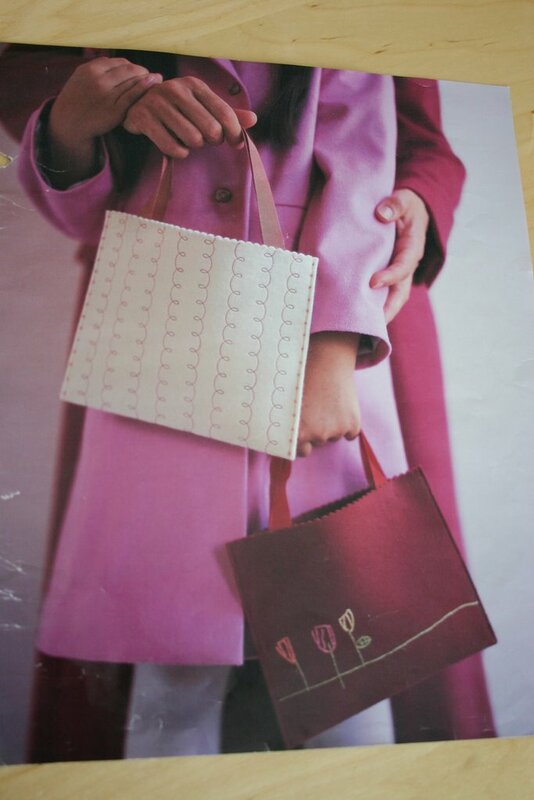 The inspiration came from this magazine page pulled out from a Martha Stewart magazine. I think it was an article on embroidery. 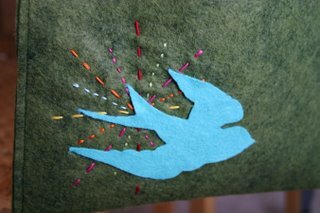 And here's a close-up of the stitching & bird detail. (Told you I have a thing for birds right now). The color is really off in this photo. I had planned on making this for Sadie's birthday, but I got sick. Now, it's finally done in time for Christmas. I hope she likes it. So So So CUTE! What are the handles made out of? 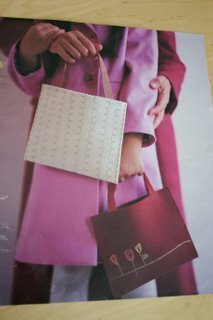 I would love the details...would make a super cute church bag for Lauren's scriptures! ok, my jaw dropped when i saw this- can i totally copy you and make one for myself. 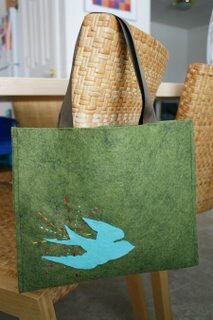 i have a thing for brids as well, and this is a must have! WOW~ what else can I say! The stitching is the bomb! Did you cut that bird out yourself? Sadie with that purse and her tutu will be UNSTOPABLE! Thanks guys. Yes, yes, copy away. The handles are grosgrain ribbon. How creative you are. It is so cute, and it is a one of a kind.